This weekend I had the pleasure of spending several hours with two of my favorite people. My nieces are funny, smart, and lovely little girls and it is always a delight to spend time with them. 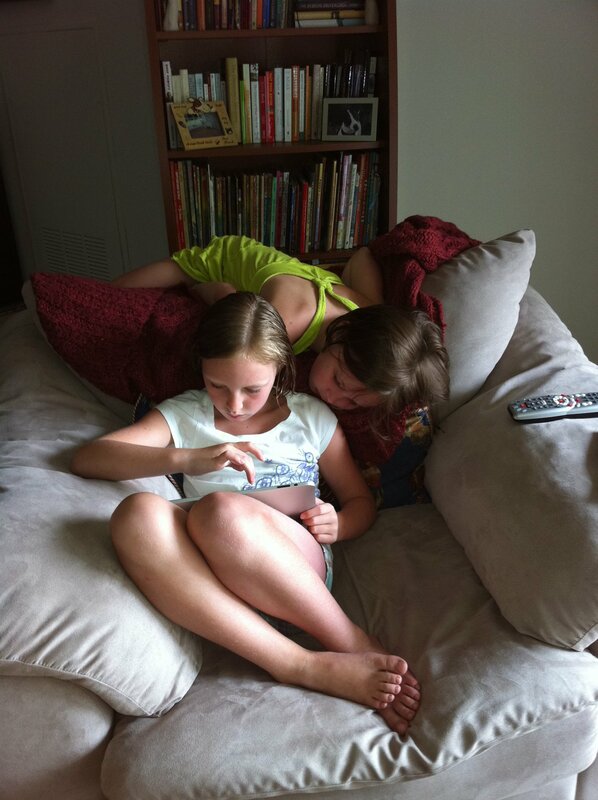 Watching them this weekend was such a great affirmation for me with regard to kids and technology. Just as kids are not afraid to jump feet first into the cold lake on a warm summer morning or get muddy as they hike to the top of a mountain and peer over, kids are not afraid of technology. They just jump in with both feet and figure it out. This wasn’t particularly new learning for me; to see kids immersed and at ease with technology. But it was truly a reminder that as teachers we must be as fearless as our kids. Our kids don’t care if we don’t know what to do, if we aren’t the masters of the program. Our kids just love that we try and get excited when they can show us something. Complacency is simply not an option in our educational practice. We must embrace the fear of the unknown and jump in with both feet. This is our new task as teachers, to move forward without fear.